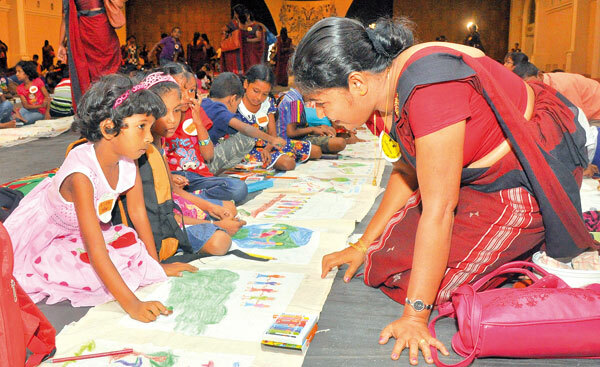 It was a pleasant sight to watch a group of young children squatting on the floor, drawing and painting. 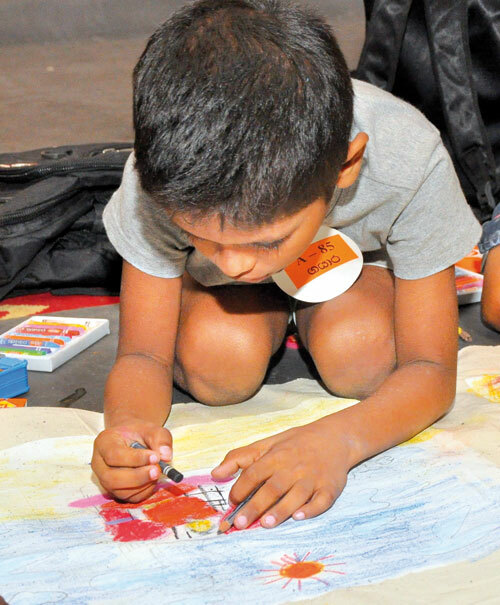 Senior students were seriously involved but the juniors were having the time of their lives at the Art competition organised by the Sri Lanka Women's Development Services Cooperative Society for children and relatives of parents who work for the Society. 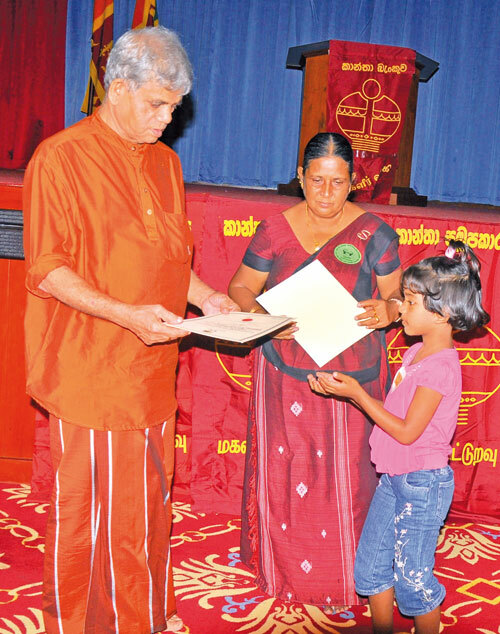 Held for the sixth consecutive year, to celebrate Children’s Day, this year's event was held at Temple Trees. The event started at 8.30 a.m and went on till 5.30 p.m. Over one thousand children participated. They were divided into three categories - 'A', 'B' and 'C'. 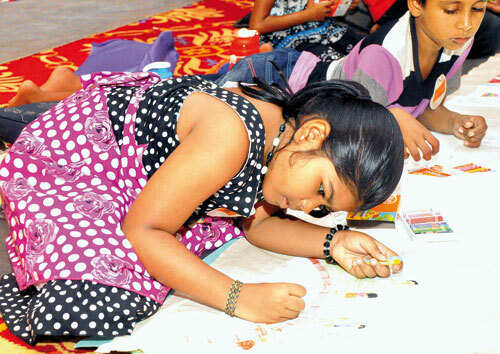 Students of the Junior category coulddraw on any topic they wished using pastel colours only. 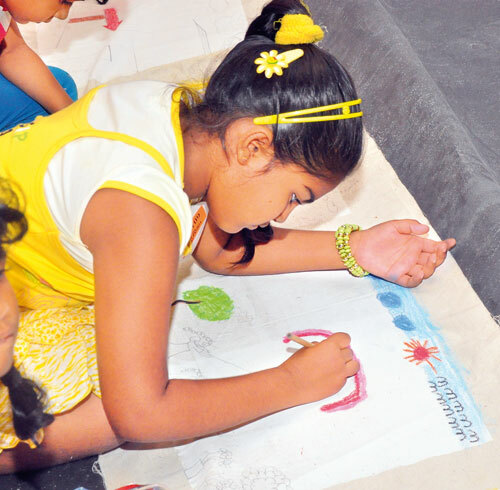 Intermediate students had to draw a ‘Perahera” and they too had to use pastel colours only. The Seniors had to draw a picture on ‘Drug awareness’ using both pastel and water colours. All participants were given certificates of participation. Some children sang while painting and enjoyed themselves thoroughly. Some children who had finished early had a snooze while others were narrating stories.